PBS NewsHour Periscope User Stats This is PBS NewsHours periscope stats website page. This is PBS NewsHours periscope stats website page. PBS NewsHour created profile on 2015-03-27 Time 18:41:09 and last update profile time is . PBS NewsHour total followers is 41700 and PBS NewsHour total following is 275 . 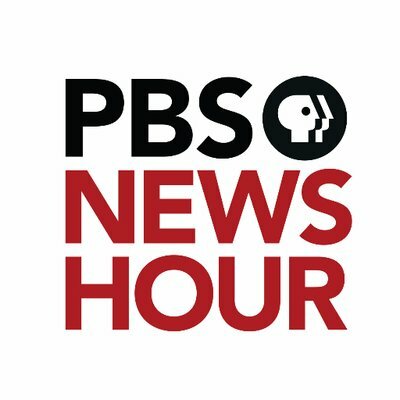 PBS NewsHour twitter nickname is NewsHour. WATCH LIVE: A former Florida police officer is set to be sentenced for the shooting death of a stranded black motorist back in 2015. WATCH LIVE: Secretary of State Mike Pompeo and acting Defense Secretary Patrick Shanahan hold a news conference with their counterparts from Japan. WATCH LIVE: Sen. Richard Blumenthal (D-Conn.), a member of the Judiciary Committee, holds a news conference about the release of special counsel Robert Mueller’s report. WATCH LIVE: Attorney General William Barr and Deputy Attorney General Rod Rosenstein hold a news conference to discuss special counsel Robert Mueller's report. A redacted version of the report is expected to be made public later today. WATCH LIVE: President Trump is expected to discuss rolling out 5G mobile technology and expanding high-speed internet access in rural America. WATCH LIVE: The public memorial service for rapper, entrepreneur and activist Nipsey Hussle at the Staples Center in Los Angeles. WATCH LIVE: Attorney General William Barr may discuss special counsel Robert Mueller's report during a Senate Appropriations subcommittee hearing. WATCH LIVE: President Trump is touring a rebuilt section of southern border fencing that was finished in October 2018, though plans for replacing that section date back about a decade. The White House is calling the fencing "the New Border Wall." WATCH LIVE: President Trump takes part in an immigration and border security roundtable in Calexico, Calif.
WATCH LIVE: President Donald Trump is set to discuss Small Business Administration head Linda McMahon's resignation during a news conference. How are recent political debates resonating outside DC? @thechrisbuskirk and @ConnieSchultz join @JudyWoodruff. Plus, @paulsolman reports on Generation Z's concerns over student loans. On tonight's PBS NewsHour: More than two weeks after the crash of another 737 MAX aircraft, questions remain about pilot training and Boeing's relationship with the FAA. @milesobrien reports. WATCH LIVE: The state of airline safety is the subject of a Senate Commerce Subcommittee on Aviation and Space hearing. WATCH LIVE: The House is expected to try to override President Trump's veto on Congress' resolution against his national emergency declaration for a southern border wall. WATCH LIVE: Senate leaders Mitch McConnell (R-KY) and Chuck Schumer (D-NY) may discuss Robert Mueller's report in floor speeches. WATCH on #Periscope: President Donald Trump is set to sign an executive order requiring colleges to support free speech or lose funding. WATCH on #Periscope: President Donald Trump speaks at the the Joint Systems Manufacturing Center, US Army Tank Plant in Lima, Ohio. WATCH on #Periscope: Illinois Attorney General @KwameRaoul is expected to discuss the case of former Chicago Police Officer Jason Van Dyke, who was found guilty last year in the shooting of Laquan McDonald. WATCH on #Periscope: President Donald Trump holds a joint news conference with Brazilian President Jair Bolsonaro at the White House.